Our waterproofing teams are passionate and professional in their approach to all aspects of the job at hand, they complete every project as if it were their own. With a wealth of knowledge on waterproofing products and application techniques at their disposal, Build Up teams are dedicated to completing all waterproofing and roof repair projects to the highest standards on time and on budget. Buildup Roof Repair & Paint teams have undertaken specific specialised training from major manufactures in South Africa regarding the waterproofing industry. 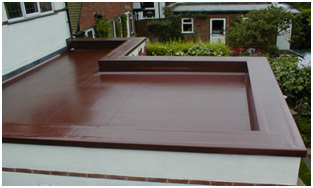 Ensuring we offer the best long term solution for your residential or commercial waterproofing, form a small repair to a compete roof refurbishment. For new builds we can assist from the design stage by specifying the best long term waterproofing solution for your project, providing datasheets and safety information for architectural use.